In this side-splitting memoir, the former Saturday Night Live star recounts the hilarious adventures and unexpected joy of dating and becoming a mother when she least expected it-at the age of forty-four. Anyone who saw an episode of Saturday Night Live between 1999 and 2006 knows Rachel Dratch. She was hilarious! So what happened to her? After a misbegotten part as Jenna on the pilot of 30 Rock, Dratch was only getting offered roles as "Lesbians. Secretaries. Sometimes secretaries who are lesbians." 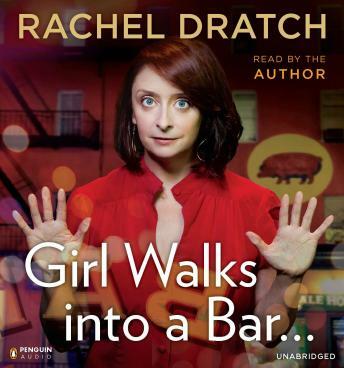 Filled with great behind-the-scenes anecdotes from Dratch's time on SNL, Girl Walks into a Bar... is a refreshing version of the "happily ever after" story that proves female comics-like bestsellers Tina Fey and Chelsea Handler-are truly having their moment. A pleasant, often amusing book. It's rather short, though.